If you ask seniors what would make Montreal better, they have plenty of suggestions: better access to health care, safer sidewalks, a remedy to accessibility issues. The City of Montreal, in an effort to learn what seniors think, launched a website, an online survey, and will hold a series of four public consultations. The problem: the entire online consultation process is in French. A group of researchers from Concordia University says the city’s public consultation process for the development of an action plan for senior citizens is excluding many of the people it seeks to help. According to the researchers, the consultations exclude Anglophones, immigrants and those with mobility problems. "We're hearing from them that they want to take part in the process -- they're thrilled Montreal is consulting older people in this process -- we just want to make sure it's a true consultative process where all older people have an opportunity to have their voices heard," explained Shannon Hebblethwaite, spokesperson for the Centre for Research on Aging. But language isn't the only barrier -- the timing and location of the consultations are another obstacle, according to Concordia researcher Kim Sawchuk. 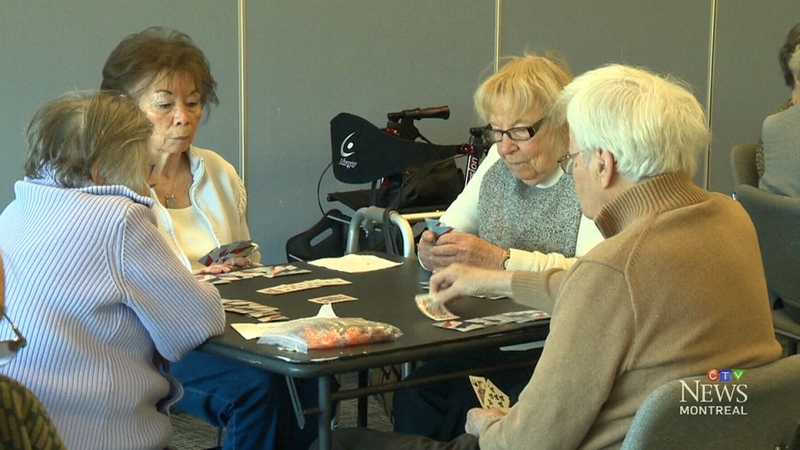 Slated to take place in February, the discussions will happen during a time of year when snow and ice makes it difficult for many seniors to leave their homes. The researchers also point out that three of the four locations chosen for the consultations are near metro stations that do not have elevators. Furthermore, they’re concerned that the process will make it difficult for English-speaking seniors to participate. The four consultations will take place in French, and none of the consultations are happening in boroughs in the west-end of the city, where large numbers of Anglophones and immigrant seniors are living. "The locations that are being included in the city don't really include significant boroughs with large senior populations, like CDN-NDG," Sawchuk explained. "We think this is a mistake and a problem." The survey and information about the consultations are only available online, making it difficult for those seniors who don’t have access to the internet. As more governments post information online, Sawchuk addsed, seniors are often left out because of the technological barrier. The researchers are urging the city to adopt a more inclusive process. 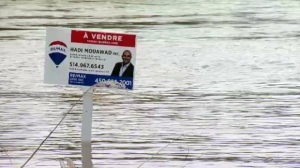 They wrote an open letter to Mayor Valerie Plante, expressing their concerns. On Friday, Plante said they're working to improve the feedback process. "We want everyone to feel included, and language can't be an issue of not participating," she said. The city added a phone number to the website, where seniors can call to make their voices heard. Upon dialling the number, users encounter both an English and French message -- but the number itself is only found online. The first public consultation is scheduled to take place February 21 in Outremont, and the Seniors Action Plan is scheduled to be adopted by late spring.